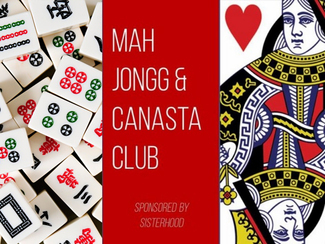 Welcome to the TCS Sisterhood Mah Jongg and Canasta Club sign up! The club is open for general play for any players of all levels, $5 for non-members and free for all Sisterhood members. Please sign up in the time slot that you are able to play and a text/email confirmation will be sent to you in advance to confirm.